Dental Emergencies Are Stressful Enough. Let The Experts At My Ashburn Dentist Assist You With Your Next Dental Emergency. Dental emergencies happen all the time. Your child may lose a tooth during soccer practice. Your mother may trip in the garden and chip her front tooth. Or you may feel a sharp pain in your tooth for no apparent reason. Whatever dental emergency you have, our caring staff is here to help. Don’t let an accident ruin your day (or week). Call our dental professionals to schedule a consultation today. Few things are more stressful than experiencing a dental emergency. Far too often, these events happen at the worst possible time: after the dentist’s office hours. My Ashburn Dentist is a team of professionals in Ashburn, Virginia, who understand how upsetting it can be to sustain sudden damage to your teeth or gums. When the unexpected occurs, turn to My Ashburn Dentist to find swift and effective emergency dentistry treatment. You can only save a tooth in a small timeframe, so you must be quick. Any time that you sustain an injury to your teeth or gums call Dr. Rusznak right away. What should I do immediately after a dental emergency? The answer depends on the circumstances of the injury. If you’ve cracked or broken a tooth while eating, just call the office to set up an urgent care appointment. If you’ve sustained injury as part of a traumatic event, such as a car accident, severe fall, or sporting injury, the first step is to secure your safety. Assess your immediate surroundings and take action to move out of the way of further damage. If you’re bleeding, take immediate steps to slow or stop the bleeding. Cold compresses on the exterior of your mouth can help reduce pain and swelling. If there are other people nearby, allow them to help by calling a loved one or seeking an ambulance, if necessary. Contact Dr. Rusznak’s office as soon as possible to determine the next steps. Emergency dental appointments are available. As with all injuries, some accidents are just unavoidable. However, in most cases, there are steps that you can take to reduce the risk of a dental emergency, for yourself and your family. If you or a loved one suffers a dental emergency, try to remain calm and call My Ashburn Dentist to have your injuries treated as quickly as possible. If you or a loved one is experiencing a dental emergency, stop by My Ashburn Dentist immediately. It’s imperative to seek dental attention right away, as you can only save a tooth in a small time frame. Our dental procedures create beautiful, natural smiles, so you can feel confident in your smile and oral health. Whether you’re suffering from tooth trauma, damaged gums, or cracked teeth, we’re here to help. 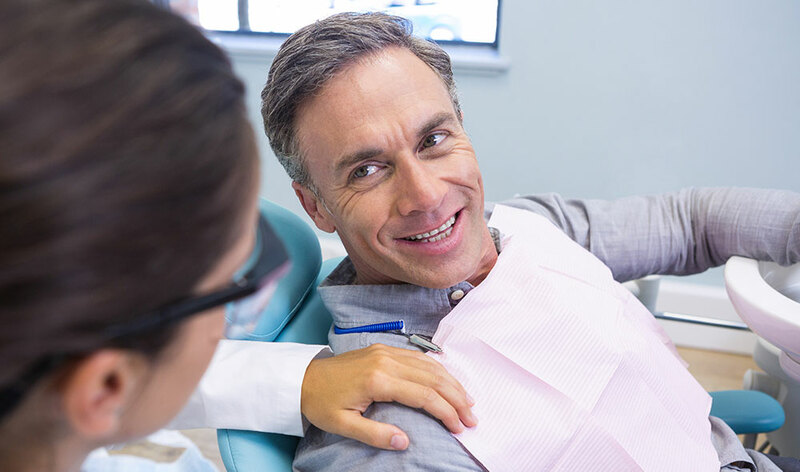 We also specialize in a variety of other dental solutions including cosmetic dentistry, teeth whitening, oral surgery, root canals, dental implants, and dental veneers. To schedule a dental appointment at our facility, contact our professional staff today.